business into an Instagram superstar! Issa Asad’s Instant Profits with Instagram is the ultimate guide on building your brand and exploding your business on Instagram today! Issa Asad unveils the industry’s most closely guarded secrets on profiting from Instagram, and shows you how you can promote your business’ products and services on the social media marketing platform. With the rise of marketing through micro-blogging and image-based content, it makes sense to why Instagram has grown in popularity with marketing and business professionals. Instagram has naturally changed the way businesses interact with their customers. The social media platform builds loyalty, interest and recognition for your brand. Don’t be left behind—learn how to take advantage of Instagram to create marketing campaigns, increase your followers and explode your profits with little to no effort! “The techniques shared in Issa Asad Instant Profits with Instagram have definitely improved my business’ marketing and Instagram strategy! Before this book, I thought I had a decent Instagram strategy and believed I knew what I was doing. This book has taught me how to implement some very smart marketing campaigns to increase my business’ followers and it has paid off! I highly recommend every business download this book! Issa Asad Instant Profits with Alibaba is the most comprehensive guide available about making money using Alibaba.com, the world’s largest online business-to-business marketplace! Issa Asad explains why Alibaba is such a huge opportunity, and shows you how to tap into the world’s largest and most profitable e-commerce market today. Alibaba is located in China and works similarly to Amazon and eBay. The company’s initial public offering (IPO) made history at $240 billion. Alibaba’s potential is endless; in fact, analysts predict that sales from all of Alibaba’s entities will exceed $700 billion by 2017. The opportunity is massive! Get in on the opportunity early. Download Issa Asad Instant Profits with Alibaba today and learn how to make money on Alibaba in no time! 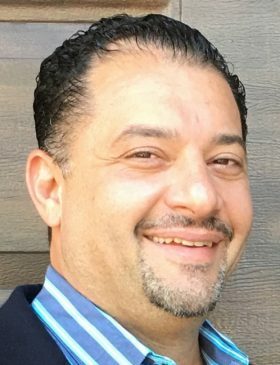 Issa Asad is the CEO of Q Link Wireless and Quadrant Holding based in Dania Florida. Issa Asad has been in the marketing, technology and telecommunications industries since 1996. Mr. Asad has been the Co-Founder, Founder, Managing Member, President, Vice President and Chief Executive Officer (CEO) of multiple technology, telecom and online-based companies. Issa Asad is known for his dedication, passion and strategic vision, and have led his companies to consistent yearly profits in a highly competitive international and national market space. He is proficient with market analysis, sales, and the creation and implementation of successful marketing campaigns across multiple platforms. Mr. Asad is one of the United States’ most well-respected technology and telecom entrepreneur. He was featured in various technology and telecom-based publications, including 48 issues of Intele-Card News, 10 issues of Phone Plus and numerous issues of Convenience Store News. 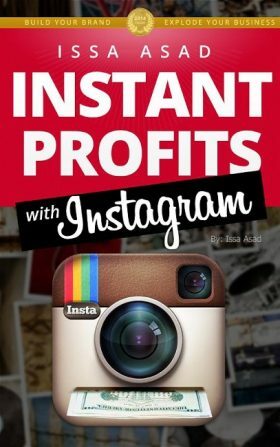 With his 2014 book, Issa Asad’s Instant Profits with Instagram, Issa Asad provides industry secrets, tips, tools and tricks to help other business professionals gain success and profit on Instagram. Using his years of experience, Issa Asad exposes these strategies and provides you with the ultimate guide to building your brand and exploding your business on Instagram today! Issa Asad Gallery. Read more on Issa Asad Facebook and Issa Asad Amazon page. For information about Issa Asad net worth and Issa Asad Q Link check out the about page. Q Link CEO Issa Asad Florida. Studies show that customer retention strategies are the most popular way for small businesses to drive revenue growth, followed by investing in new customer acquisition activities and methods, according to this Small Business Report. But what if a business is facing an even greater growth challenge: correcting a marketplace misconception about their products or services, or worse, differentiating itself in an industry that’s taken some serious reputation hits? It’s hard to retain existing customers or acquire new ones if your company’s reputation has taken an unfair hit or misinformation is circulating about your products or services. Mistakes happen. But as Chipotle’s continued brand strength in the face of some pretty epic food safety issues demonstrates, you can (generally) always find a way to recover. Managing misinformation can be tricky, however. If your company has made an honest mistake in a product or service, owning up to the error and taking immediate steps to correct the problem is essential. Here’s where things get a bit trickier: the public perceives there’s an issue with your brand or product when in reality that issue doesn’t even exist. Yikes! A business’s reputation often dictates its sales. In an economy where an estimated 70 to 80 percent of a business’s market value comes from hard-to-assess intangible assets like brand equity and good will, a blow to a company’s reputation can have a devastating effect. First, the bad news: even if you’re not committing an egregious error like dumping toxic waste in the oceans, if the public thinks that you are, that’s all the matters. Now, the good news: you can bounce back. To recover, you’ll need to identify the cause of your reputation problems and get to work correcting it. Take heart: Harvard Business Review says that most companies do an inadequate job of managing their reputations in general. You’re not alone if you’re struggling with a public perception problem. Don’t wait for a dip in sales to alert you to a reputation issue. All businesses should keep close tabs on their online reputation via review sites like Yelp as well as social media monitoring. I’m a fan of Brand24 for monitoring social media chatter since it allows you to set alerts for online mentions and specific keywords related. If your business is unfairly taking a reputation hit, there’s got to be a reason why. You just may not know it, yet. In some cases, an unfair reputation hit could be spurred by a social media story that went viral or a media report that simply got the facts wrong. When this happens, it’s important to get out in front of the story as quickly as possible. If you feel you’ve been treated unfairly in a local news report, for example, contact the station and offer an exclusive on your side of the story. While most of us are pretty smart, as a whole, we can act sometimes like a pack of lemmings running off the side of the cliff. We’re bombarded with so much information each day it can be hard to keep all the facts straight. In this case, it’s up to your business to get the correct side of your story out there. For example, the public perception around Q Link Wireless’s participation in the Federal Lifeline Assistance Program was lukewarm at best. That’s because most people had never heard of the program, which offers free or discounted phone service to low-income Americans, including the elderly. Phones and service discounts are provided directly through participating phone companies, like Q Link Wireless. Disliking a company that participates in the program is a bit like criticizing a clothing store for donating surplus coats to the needy or a soup kitchen for distributing food. But since the public didn’t understand how the program worked, chaos ensued. “The Lifeline Assistance Program is incredibly valuable to individuals in need,” says Q Link Wireless CEO, Issa Asad. Remember, the customer is always king. Once you’ve taken steps to get out in front of a perception problem (and get folks back in your store), be sure that your customer service carries through. 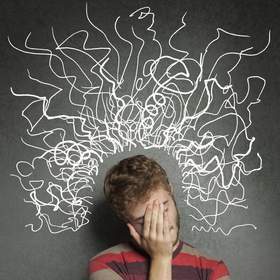 Overcoming a public perception issue requires you to give full attention to your customer. Invite customers to participate in a customer service survey after every transaction so you can monitor any issues and respond immediately. Your business’s reputation is its lifeline. When it takes an unfair hit, it can feel as if your livelihood is on the line. By taking immediate steps to identify the problem source and educate the public, you can stop further reputation damage and begin building back customer trust. Remember this mantra: listen, educate, act and monitor. DANIA, Fla., Dec. 22, 2014 /PRNewswire/ — Issa Asad, CEO of Q Link Wireless, LLC, and social media guru with over 15 years of telecom experience, has recently advocated for the use and effectiveness of Like2Buy, a marketing platform for Instagram users, specifically business owners and marketing professionals. Like2Buy, a program from Curalate, is designed to convert followers into customers through the simple click of a button. Optimized for all devices, the tool provides an in-depth analytics system that may help businesses track the behavior of mobile shoppers and increase revenue. Asad is also the CEO of Quadrant Holdings, LLC, and is known for his multiple books on best practices for social media strategy, including profitable use of Snapchat, Vine and Alibaba. Instant Profits with Instagram: Build Your Brand, Explode Your Business is Asad’s first published book. Within the book, Asad stresses the importance of using Instagram to visually develop a brand and market to followers. Like2Buy has been hailed by major brands, including 2014 Internet Retailer Top 500 brand Charlotte Russe, which experienced a higher shopping conversion rate using Like2Buy compared to other social media platforms. In six weeks the retailer reported 13,000 clicks, and was able to analyze the click data to learn about consumer behavior. Using Like2Buy, when followers click on an Instagram picture, the item goes to a product page, rather than directly to the site. Followers can also save their favorite items to purchase later. Curalate charges a monthly fee for the use of the platform. Asad believes Instagram is a frontrunner in the new wave of marketing, and marketing products such as Like2Buy offer retailers and businesses alike to reach new audiences, while developing the brand with a gallery of images. Issa Asad is a social media expert, entrepreneur and author of several books including Instant Profits with Instagram, Instant Profits with Alibaba, Instant Profits with Snapchat and Instant Profits with Vine. He also owns a variety of social media and e-commerce marketing blogs. Asad has over 15 years of experience in the telecom industry as a sales executive and telecommunications pioneer. He is currently the CEO of Q Link Wireless, LLC, a subsidiary of Quadrant Holdings, LLC, both located in Dania, Florida. Asad can be reached via Facebook or his LinkedIn profile. DANIA, Fla., April 6, 2016 /PRNewswire/ — Misunderstandings about a business are one of the most common causes of public opinion problems affecting customer retention. This claim was the crux of an article by Brian Hughes on Business.com in March 2016. Cell service provider Q Link was used as an example and CEO, Issa Asad, weighed in on this topic. “When customers don’t fully know certain aspects of a company or industry, there can be some misunderstandings in the marketplace. It is a struggle that many businesses, large and small, face every day,” says Asad. Q Link Wireless has worked proactively to inform and educate consumers about the importance of the Federal Lifeline Assistance Program. 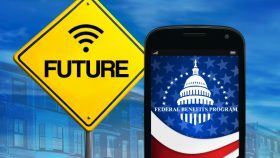 While the program aids low-income individuals and families as well as the elderly in obtaining a free or discounted cell phone service, the public’s failure to adequately understand the program was in need. Issa Asad is a Florida based entrepreneur and CEO of Quadrant Holdings LLC and Q Link Wireless. Asad has been in the telecom industry since 1996. It is that experience, combined with natural business intuition, which has allowed him to make Q Link what it is today. Q Link Wireless is one of the nation’s fastest growing providers of the Federal Lifeline Assistance program and offers affordable prepaid wireless service to consumers across the country. Q Link helps low-income families stay connected through the Lifeline Assistance program by providing free cell phones with free monthly service to qualified consumers. Visit www.qlinkwireless.com to sign up today.